In “How to Embrace Your Divinity,” I mentioned that if you repeat an affirmations before retiring that it is sown into the superconscious part of your being, which is referred to as fertile grounds of KAMTA. The reason for symbolizing the superconscious part of your being as KAMTA because it is fertile ground, meaning that it has the potential to develop and grow anything you want in your life. 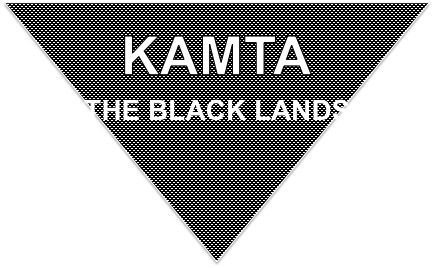 KAMTA – The Black Lands. Literally also known as the fertile region of Upper Kamit in the southern part of the country. Metaphorically, it symbolizes our Higher Self. The reason we refer to the subconscious part of our being as TASETT is because our subconscious is already in the habit of doing things. In other words, it is the part of your being that functions on autopilot. This is why the perfect analogy of the subconscious part of our being is a desert because the ground is hard and dry. 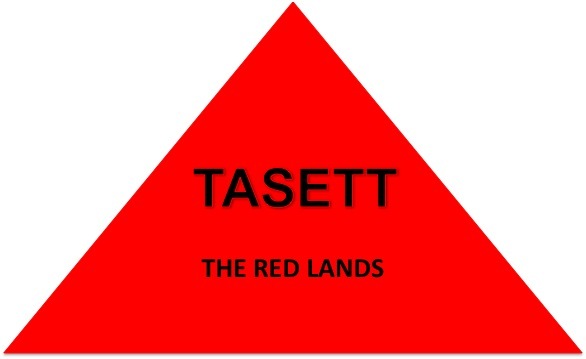 TASETT – The Red Lands. Literally also known as the desert region of Lower Kamit or Egypt. Metaphorically, it symbolizes our Lower Self. As I stated before, when I repeated this the first time, something remarkable occurred, because all of a sudden I began to realize that I was the creator of my reality. I came to understanding because I had a dream and it was little frightening at first. That’s right, I repeated the affirmation, “I am God” and I had a scary dream. In the dream, I was in a basement and I heard some moaning and wailing. It sort of reminded me of my near death experience when I was in the hospital laying on the gurney hearing other patients cry out for Death to take them. Anyway, in the dream, I was kind of in a pit in the basement, then I levitated out of the pit and hovered around above the basement floor. I remembered I did a couple of flips and loops as if I was trying to become familiar with my flying abilities. Then, I flew up a flight of stairs to a bedroom that was above the basement, which was brightly lit. Afterwards, I awoke from the dream. As I said, it was scary at first until I began to interpret what the dream meant and realized that it was referring to the Maa Aankh. The basement corresponded to my superconscious self or KAMTA. It was scary at first because Western society teaches us to fear the dark and everything that is unknown. Everything that is not physically visible we are taught to fear and categorize it as evil, not understanding that this is society’s way of programming us to fear our ancestors and see them as evil ghosts, fear our spirit guides and fear our divinity. The watery like pit that I was raised out of was none other the chaotic waters of Nyun. Those familiar with Kamitic cosmology will recall that according to Kamitic creation theory, in the beginning there was nothing but a watery chaotic abyss. Chaos simply means no order, which is why after God created Him/Herself, the next order of business was to bring order or Maa out of chaos. Me hovering above the waters was a message that Maa was now being put into my life. After I hovered above the waters in the basement, I did a couple of flips because it symbolized that I was free, not bound by anything. In other words, when you tap into the superconscious part of your being, you can achieve anything. Then, I flew up into the habitual, visible or subconscious part of my life that functions on autopilot, which was confirmation that I create my reality. Now, some of you might be asking why this important. Well, the answer is for several reasons. First, the point of telling you this is to give you proof of a shamanic dream. If I had thrown into the story some animal headed figures or some other grotesque images you would have a read the first pages of my Book of the Dead. That’s right, the Kamitic Book of the Dead or Pert em Hru is basically an individual’s dream diary. Again, most Western scholars just don’t get it because they don’t understand the mind-spirit. The second reason is to help you understand your own dreams. Your dreams are a reflection of your reality in symbolic form. The way to interpret your dreams is to determine how a symbol makes you feel. We have heard it time and time again, that the only thing to fear is fear itself. Why do you fear becoming a god? Who told you to fear your divinity? Do you think it is blasphemous to state, that you are God? Do you think something is going to happen to you because you state that you are God? If you answered yes to any of those questions, you are not living your life according to Maa. 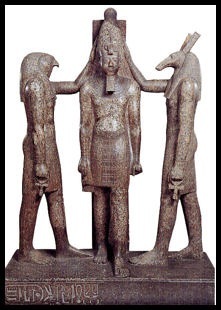 I know that Egyptologists and armchair metaphysics and spiritual folks will tell you, “Maa(t) means balance, law, justice, order and righteousness,” but a lot of these people are talking about ethics and morals or right versus wrong. In other words, they are speaking about good versus evil from a Western perspective, which is not a Kamitic or traditional African concept. 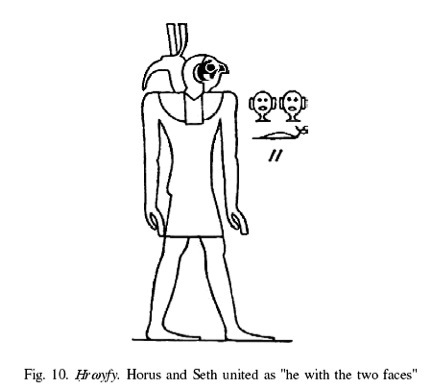 According to our ancestors along the Nile, good and evil are two sides of the same coin. What is good for one person may be evil for another, and vice versa. When you are living your life based upon good versus evil, you are in essence living your life based upon what you fear may or may not happen, and this is simply chaotic. Why? Because, if everything that you are trying to do is contingent on what may or may not happen. You will never progress. Okay, that seems a little over the head, so let’s break it down to everyday scenario. You have read your history. You have learned that your ancestors accomplished great things. You believe that you are a child of God, but there is some evil conspiracy holding you back or plotting for your demise, and this is the reason you cannot seem to get ahead. You just contradicted the fact that you are a child of God or a god yourself, and empowered your enemy. In other words, what you are saying is that the reason you can’t progress is because some evil conspirator(s) are more powerful than God. I didn’t say it. You did and this is what you believe because you are afraid to go into the dark. This means that you are afraid of the devil because you are afraid to be God. If you want further proof, go into a pitch black room and sit there. Most of us will not, because it sounds spooky and society taught us to be afraid of the things that go bump in the night, but I have some good news. That’s right people. This is the Gospel of Aakhu (the ancestors) that Hru had to discover for himself. Guess who is waiting in the dark? If you will recall that the devil is a liar, then everything that the devil says, you have to learn to do the opposite. If the devil says, the dark is evil you have to consider the source and realize that the dark is the answer to your liberation. Understand that when I am talking about the devil or Set, we are not talking about some specific person or group of people. We are talking about the devil inside of you a.k.a. your Ego – and not just the arrogant part of you. No but, the energy that is telling you right now “You ain’t God” and saying everything in its power to prevent you from embracing your divinity. The devil or Set resides within our subconscious self or TASETT and will always make you fight yourself. This is why he knows so much about you because if you will recall, the subconscious governs all of our memories. That’s why politicians already know how you are going to vote. It is the reason the media usually reports inaccurate stories because the devil within them is encouraging them to give discouraging, meaningless stories that generate fear and panic. If reporters don’t comply, then they aren’t paid, so they do so out of fear. Fear is the main reason most people do things, and the reason most of us respond or react a certain way is out of fear. This is why survey polls are routinely conducted in order to measure the public’s response. Of course, if they don’t like the direction you are going, they will tell you something to make your feeling go in the other direction. But, when you face your fear and go into the dark to meet your Osar. You will learn that the true voice is full of love. It doesn’t force or strong arm you into doing something. It is patient and long-suffering. It is only after you have gone into the dark and embraced your divinity that you realize that the reason the devil keeps winning is to force you to play your “spade hands” and become who you were meant to be. Set, we have to remember is Hru’s uncle, and I don’t know about you but my uncles when I was growing I thought were bullies. They taught you things that your father either couldn’t or didn’t. It wasn’t until I got older that I appreciated my uncles and realized that they were mean and played the antagonist to help me develop certain character traits in order to become who I am today. This is why Set exist, because if he didn’t oppose everything we said and believe, we would not develop the traits needed to succeed. What this means is that Set will continue to dominate your life because he is a god and you are fighting him from mortal perspective. Not only that, he will continue to beat you silly until you decide to do something about it. And the only thing you can do to beat another god is to become a god or goddess yourself.